Precast concrete is an essential part of a structure since its elements can join with other components to create the structure. It’s frequently used in structural components such as floors, staircases, beams, panels, columns, tunnels, and pipes. It’s becoming more common, but why is this the case? Here are five reasons that precast concrete is increasing in popularity for both developers and builders. It’s safer to use precast concrete when building because it is fire resistant. Because of how it’s constructed, precast concrete prevents a fire from spreading from one structure to another. It’s also sturdy enough to handle blasts, natural disasters, and can withstand impacts. 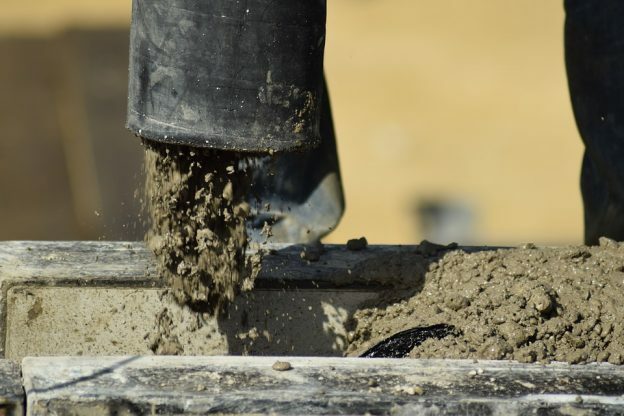 These reasons allow for this type of concrete to be gaining popularity among not only commercial builders but also home owners and families alike, adding that extra element of safety to structures in and around residential areas. Precast concrete is produced in a factory where there can be multiple colors, finishes, and shapes. It’s moldable and allows developers and designers to utilize details used in classic designs, such as capitals or keystones. In the factory, it’s possible to make the concrete to look like other materials, such as weathered rocks. The industry offers options that vary in aesthetic appeal, quality, and design to allow complete customization. Precast concrete is very flexible and can be purchased in different shapes and sizes or finishes. These precast concrete products are commonly used when constructing buildings, in landscaping, and for civil construction purposes. The versatility is endless when a piece of concrete can be used not only for commercial reasons but also to finish your dream backyard or flowing fountain in a park. You might not know that precast concrete consists of environmentally friendly materials such as cement, sand, stones, and gravels. They’re available in almost all areas where precast concrete is made, making them affordable and reducing transportation costs for non-locally sourced materials. Precast concrete is very durable and lasts for years, making it an ideal option for a wide range of construction projects in areas all across the country. It doesn’t need costly and potentially harmful chemical treatments to protect it from rotting or infestation from certain insects, which also makes it more environmentally friendly than some other construction material choices. The durability is emphasized even more when examining Chinese and Egyptian structures that utilized precast concrete thousands of years ago. It’s an essential material when longevity is one of the goals of construction without putting money into expensive repairs and concrete maintenance on a regular basis. The design allows precast manufacturers to focus on detailing and making the product. They’re also a valuable resource to turn to when you need advice on how to make a durable design that will last for as long as you expect. Take advantage of the many benefits precast concrete offers to builders. It’s durable, available in a variety of styles and finishes, environmentally friendly, flexible, and safer than other conventional construction materials that you might opt to use.